Adventure through our hand-made escapes, engaging your brain and senses in an experience you will only find in Winnipeg. You can recover your stolen loot, save a revolutionary product from destruction, or ride a train to help capture some bandits. 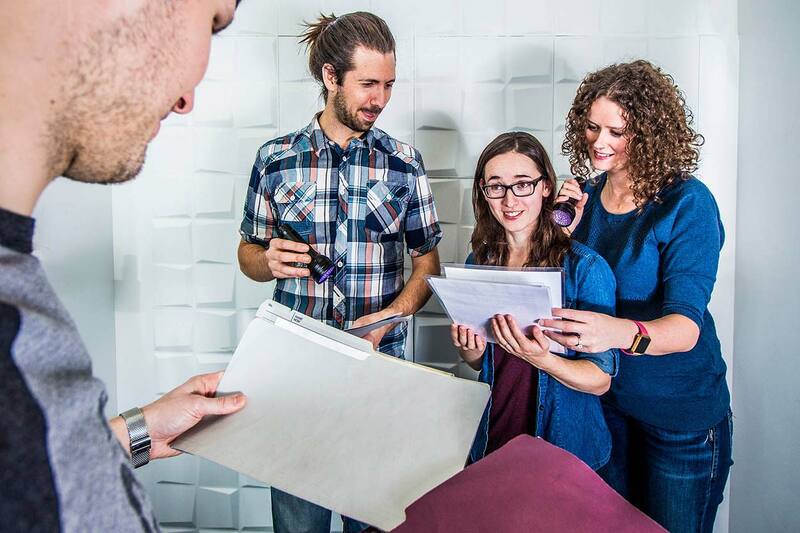 You and your team will be immersed in the atmosphere and feel like you're part of the story. There is only 60 minutes (or less) to complete your mission. Solve that key puzzle, and be the envy of your group! Stumble, and redeem yourself on the next adventure! You get to pick your adventure through our immersive themes. Don't worry - we'll give you instructions on the rules, tips on the room and what the adventure is all about. Your time is set - you'll need to find clues, solve puzzles and challenge your brain and your team to complete the story. There's nothing unsafe, and it is so much fun! We've designed our rooms for small groups of about 4-6 people (but we're flexible - contact us). You'll have the right amount of puzzles so that there isn't much confusion, you'd be challenged to get out early, and actually interact with your group. Just like you, we love puzzles and games! We have taken the time to complete other great experiences in Winnipeg, and try to improve on them. Our adventures are owned, designed and built locally to ensure they represent the experience we want to convey. Escape rooms are unique - you don't need external knowledge or skills to have fun, and we want to take that to the next level. Our rooms are on the main level with ample room to get around. We also strive to have our clues in English and French. 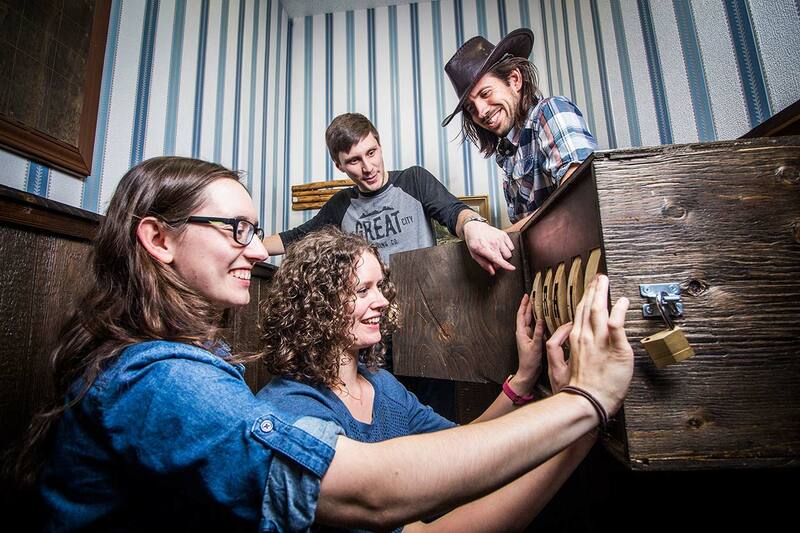 We provide immersive live-action escape room games challenging you to discover and solve puzzles individually and through teamwork. We believe entertainment can be active, build relationships and be available to a diverse audience. Please arrive at least 15 minutes in advance. Escapes start at the scheduled times. You are not actually locked in any room. Children under 12 must be accompanied by adults and are welcome to play at their parent's discretion. $25 per person; minimum room fee of $100 / 4 players (unless discount applied). Room reservations are booked online and requires 25% deposit. You can cancel up to 24 hours in advance to return your deposit. What's Next is Next Level Escapes' monthly newsletter. It provides insight into Next Level Escapes, the world of escape rooms, other nifty games and puzzles and advance notices on contests and deals. We are looking for Next Level Game Hosts to join the team. If you are positively energetic, available evenings and weekends (especially Saturdays), this could be fore you! For more information, please download the job posting. Please submit your resume and cover letter no later than September 14, 2018 by email to jobs@nextlevelescapes.ca.